At last! In an attempt to not be behind the times, Spotify fulfills one of the promises it made to its users last year and has given users the ability to follow a handful of accounts when using the desktop app. Replacing Spotify’s old People tab (which was – let’s admit – pretty useless), the new Follow tab showcases a few of your Facebook friends, complete with basic profile details and a peak into their musical preferences. 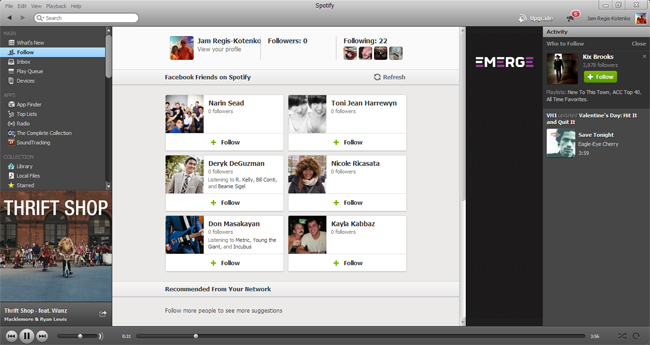 At Spotify’s launch, Facebook integration was limited to an updating right sidebar, but with the new update, you can connect with Facebook friends separately on Spotify. 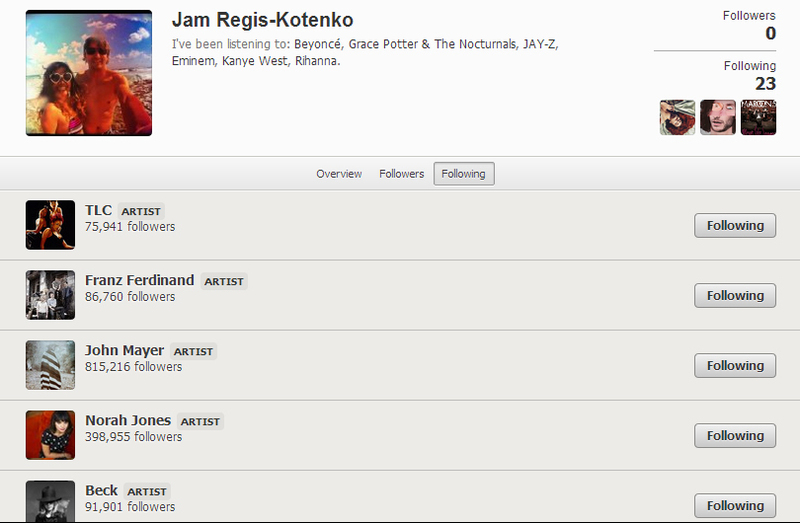 Aside from recommending random Facebook friends who use Spotify, the Follow tab also features musicians you might like. It probably also auto-followed musicians you have starred or favorited in the past. The new profile overview is a lot more efficient, highlighting recent activity (like playlists you’ve recently added or followed) and playlists you have created, beginning with your Starred tracks. Musicians who are available on Spotify also have similar profiles, and most already have a ‘verified account’ check mark, much like the one on Twitter accounts owned by celebrities themselves. The right side bar continually suggests musicians for you to follow and updates you about any changes made to playlists you like. Of the various features promised by Spotify last December, only the Follow tab can be seen on the desktop application as of late – it appears we’ll just have to wait a bit more for our music discovery and listening experience to improve and get more social network-friendly. In the meantime, you can check out the update to the iOS app Spotify just released today.